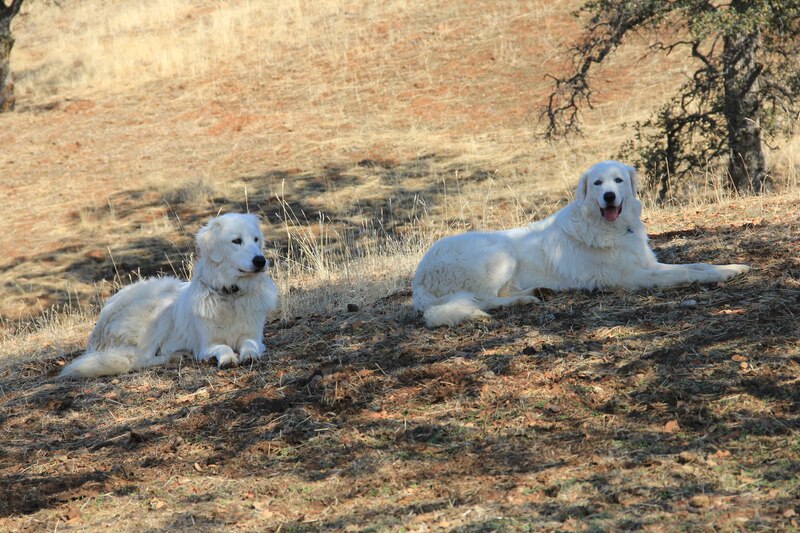 Marco, Sophie and Giada are Maremma Sheepdogs, a breed originating in the Abruzzo region of Italy for the purpose of guarding flocks of sheep kept in high mountain ranges where wolves and other predators are plentiful. Marco and Sophie were first. 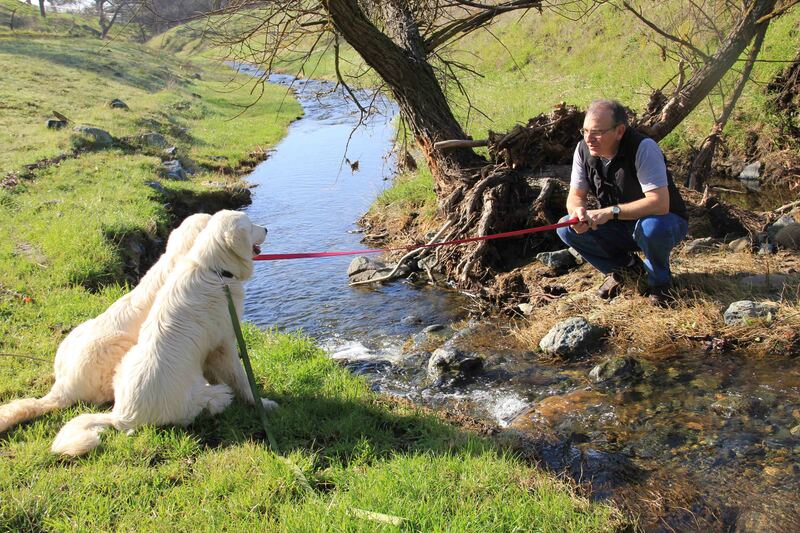 We had just moved to California, to a ranch perched on 60 acres of foothills in the Sierra Nevada mountain range. Wanting to have a purpose for all that acreage, we acquired a herd of alpacas. Have you ever met an alpaca? They are fluffy, quirky creatures with amazing fiber, but they are vulnerable, like sheep, with no inherent defense mechanisms (unless spitting counts). The foothills are open and native and coyotes, bobcats and mountain lions are plentiful. Our neighbors welcomed us to the area with stories of livestock, dogs and cats lost to predators right outside their back door. We put up protective fencing, but a few close calls of our own sent us searching for alternatives. 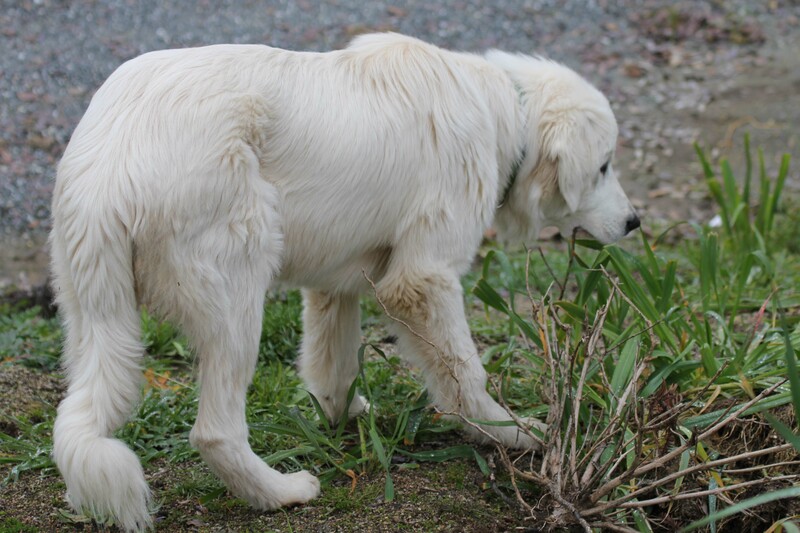 Livestock guardian dogs are considered a “predator friendly” solution; their main affect is deterrence and that suited me just fine. Plus, they are dogs. Dogs are cool and Gordy has always had a soft spot for large dogs, so that should make it all work out, right? 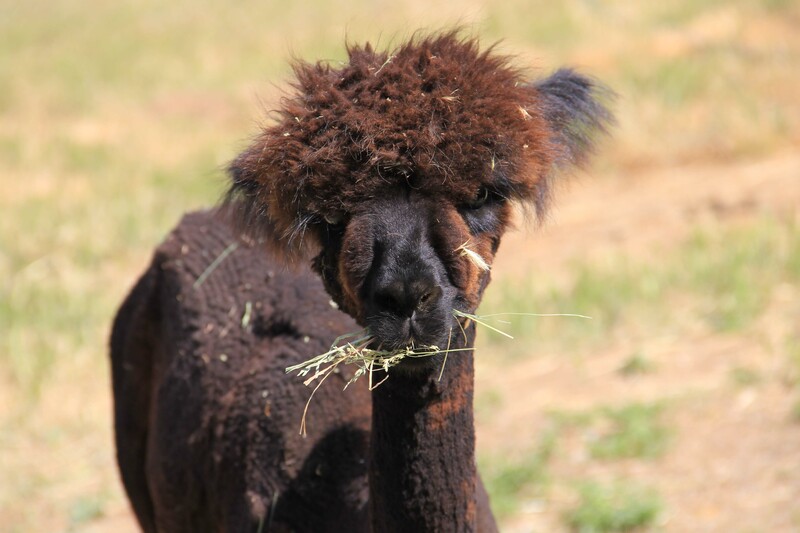 Marco and Sophie were born at a large alpaca farm in California. They were 6 months old, confined with their parents, litter mates and another working pair of dogs in pastures overrun with alpacas. The farm owners kept the maremmas for protection from packs of stray dog and questionable humans. Their “training” method was to avoid human contact with the dogs, letting them grow fierce and protectively bonded to their flock. 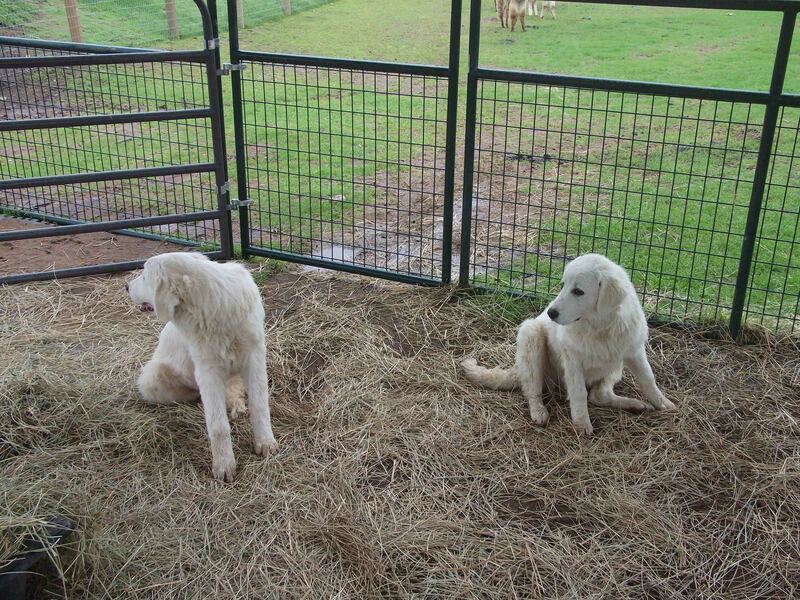 “Keep your hands at your sides”, they cautioned as we entered the pen, “avoid eye contact and stay together.” The adult dogs were, in fact, quite fierce; the pups, too young to have developed their guarding instincts, were one step short of feral. Seriously. Anti-social, terrified, feral. It took almost an hour to corner and catch them, a painful process to watch which both overwhelmed us and made us fiercely committed to getting them the hell out of there, no matter the consequence. It was December in California, the last year of a truly wet rainy season, before the drought. We brought them home in a deluge. Marco and Sophie (who did not know their names or care that they had one) paced the fence, wet and manic, out-of-their-minds terrified of us and determined to find a way out of the pen of alpacas we had put them in. We lasted three, long, miserable days like this, intimidated by their behavior and what we had been told. And then, as if waking from a bad dream, we remembered who we were, how we see things, and not one part of this passed muster with us. Go get them. Make them yours. The next day, during a break in the rain, we cajoled and chased until first Marco and then Sophie crumbled in defeat, cornered by our persistence. Gordy carried each limp, 60 pound bundle of wetness up the hill to the house where we confined them in the laundry room with piles of dog beds and towels. 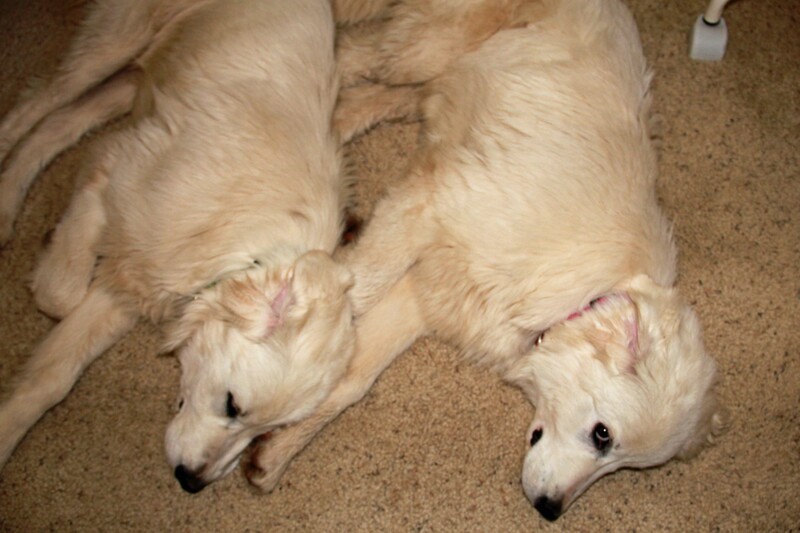 We spent days taking turns laying on the floor with them, curled up, non-defensive, waiting for a reciprocal response. In retrospect, it took but a short bit for them to reach out to us, to seek beyond their conditioned fear and ignorance. We had blown their minds and they struggled with context, but they didn’t die and when they realized they were not going to die, they became relieved and curious. Afterwards, they split time between the alpaca pen and time with us hiking the property, chilling in the house and learning about the horses. And this, little pups, is the creek. As they matured, we gave them more discretion until, by their second year, they had full run of the property, including night patrol. 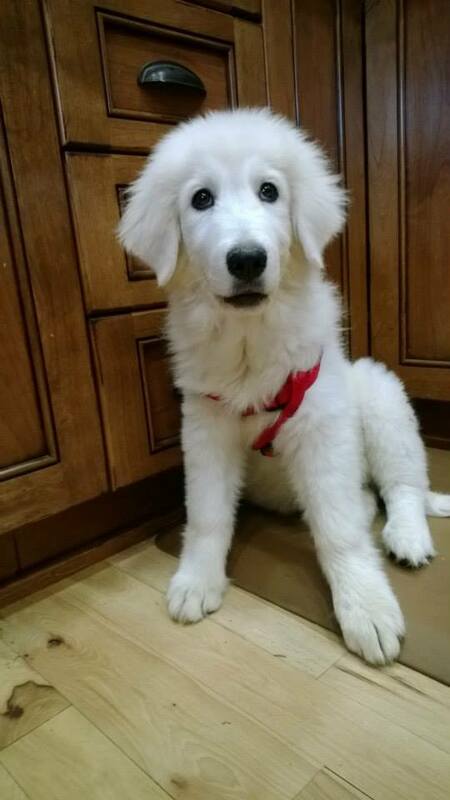 I did not know we were looking for another maremma. Gordy, however, was insistent, fueled by an advertisement he hovered over during our weekly visits to the local Tractor Supply. There were maybe 6-7 pups left from an enormous litter of thirteen (eleven of whom had survived) by the time I succumbed and we made the day trip to see them. Born in a barn and raised with goats, these were working dogs, but the guys who bred them had made an effort to socialize the dogs to human contact. It only took a bit of trickery to catch Giada and she quickly relaxed under our touch showing a freshly minted faith that no harm would come to her by doing so. 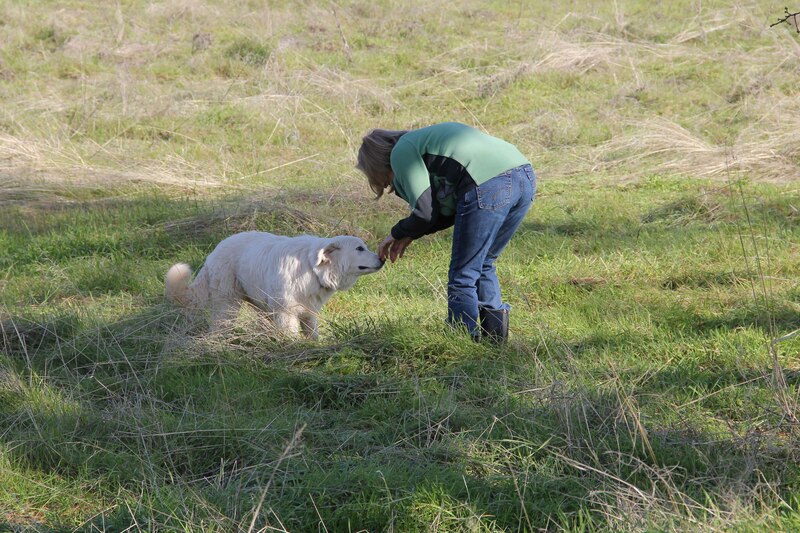 Everything else about her new life came on a pretty steep learning curve – dog doors, cars, house training, horses, wide open spaces — but she had good mentors. Lisa, this is absolutely precious! You know how I had fallen in love with Marco and Sophie at first sight, and now Giada as a baby! My all time favorites for sure! I am so happy they are home with you and Gordy who have given them the gift of a life where they and loved. Wow! I can scarcely wait to read Part 2 and certainly the published “findingjubilee”! Am I their great granmother? Meg, one of my happiest memories is of your visit to California and the way that Marco, in particular, adored you (you are easy to adore)! And yes, it’s an honor to be on your great grandmother list!